I'm in the middle of a strawberry obsession at the moment. Like, in the last week I would've eaten about.. hm.. 4 punnets? 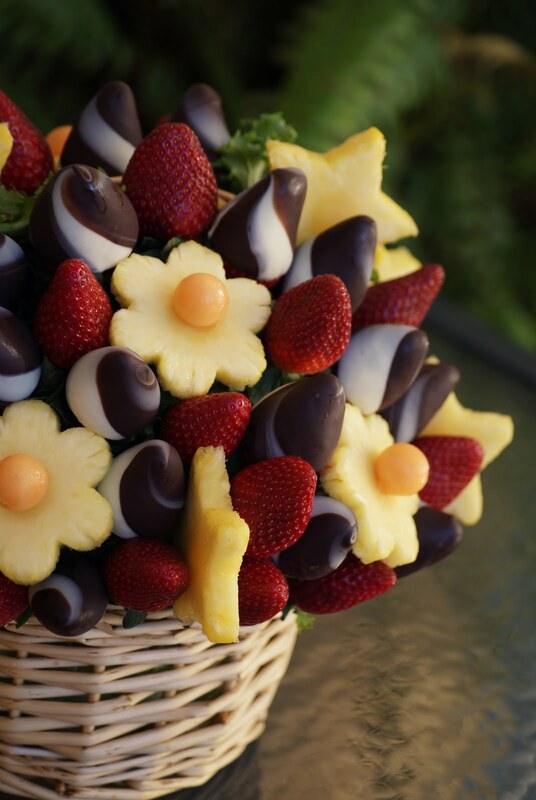 I'd much prefer a plate of strawberries than chocolate. They're super refreshing and de-lish! 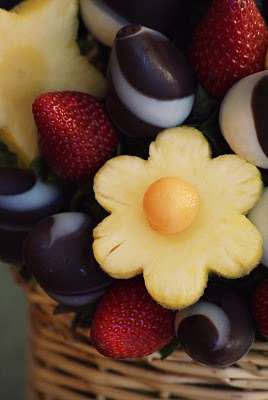 and was filled with delicious strawberries, pineapple slices, melon balls and of course chocolate covered strawberries! No worries that your fruit will spoil! and way better than flowers! pssstt.. my birthday is only a month away! as were the pineapple pieces. It doesn't count if it's on a strawberry- right? What's your favourite healthy food? I'd have to agree with you that strawberries don't taste like you're trying to be healthy. Friend of mine swears by them when he's on a low-carb health kick. Me? I just eat them coz they taste of wonderful summer-ness. Ngaww....this is so cute! I love almost all fruits, so I always forget that they're healthy....haha =] But I agree- I'd prefer strawberries over chocolate! As soon as it got delivered I was like AWWWWWWWWWWWWWWWWWWWWWWWWWWWWWWWWWWWWWHHHHHHHHH!